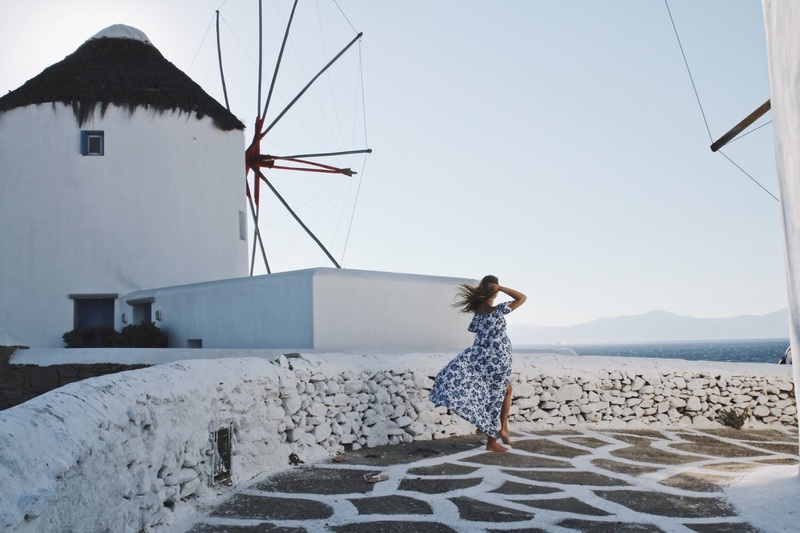 This post is a throwback to one of my favorite cities so far. I fell in love with Sydney at first sight. For me it was a personal dream come true visiting beautiful Australia. Sydney was our first stop during our honeymoon adventure last year. When we arrived I couldn't wait to explore the Sydney Opera House. I was very fascinated by it, especially its architecture which I only knew from pictures before. This amazing building was designed by Danish architect Jorn Utzon. 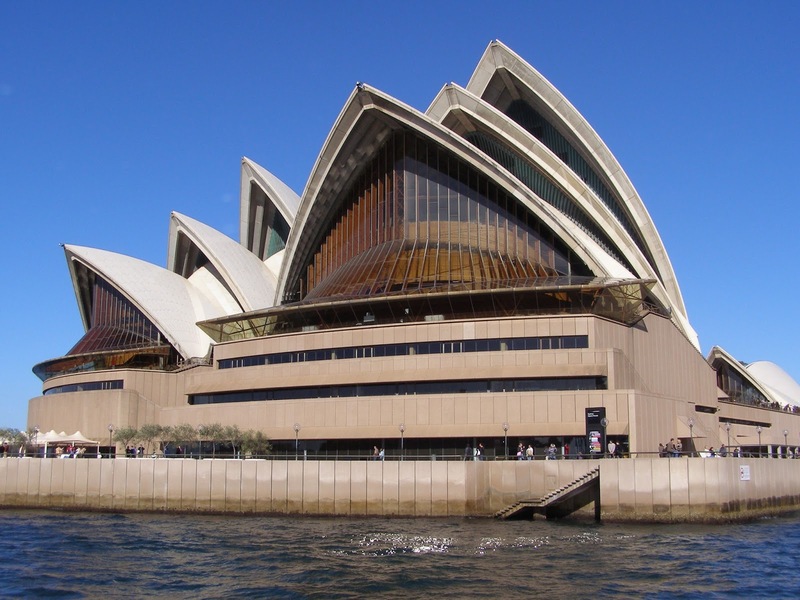 It was opened officially by the queen in 1973 and sits right in the middle of Sydney Harbour. Although the Opera House is one of Sydney's main attractions the place was less crowded than we thought it would be and we took our time to relax a little and enjoy the moment. The Opera House has several restaurants and bars to choose from. But we decided to eat at the harbor, so that we can have a perfect glimpse at the Opera House. Taking a harbor ferry ride is also a great way to marvel from a distance. Moreover you can have a great view during a walk along the Sydney Harbour Bridge. Lovely pictures. Australia is on my list of places to visit. We've already got it marked for 2017. First we're going to Sweden & Norway in 2016. 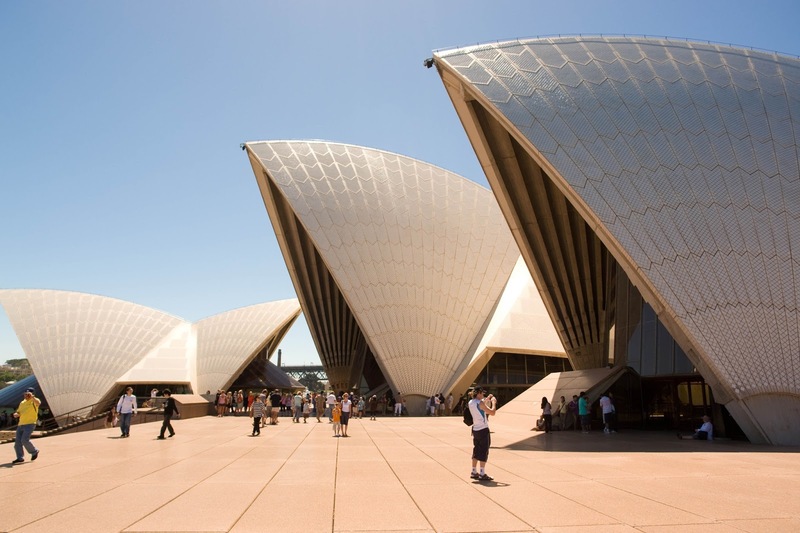 Your photos showcase the Opera House so beautifully. Great job. Not to mention, you outfit is adorable. Wow, that sounds great! Where are you from? You really should! Thank you for your kind words!